New BG ATC Plus® for transmissions with 8, 9, and 10 gears | BG Products, Inc.
WICHITA, Kan. – BG Products, Inc., has upgraded BG ATC Plus® with the latest chemistry technology to handle the intense environment in new higher gear transmissions. To squeeze the utmost efficiency out of vehicles, many OEMs are relying on 8-, 9- and even 10-speed automatic transmissions. Having more gears improves the efficiency of existing engines and allows smaller, more economical engines to power larger vehicles. To learn more about the need for speed in new transmissions, read this article from Tom. 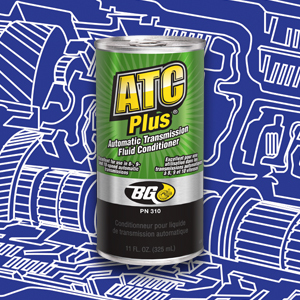 To get BG ATC Plus® in your shop, contact your local BG Distributor.